Massel’s Advantage range of stocks, seasonings and gravies are used by chefs in commercial kitchens worldwide. They combine huge flavour with double yield and make delicious soups, sauces and gravies. 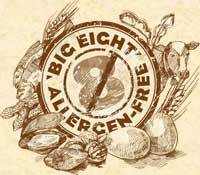 All products are gluten-free, vegan and have a host of other great benefits including being free of all the ‘Big 8’ food allergens, giving the discerning chef peace of mind and taking the worry out of menu planning. Massel’s concentrated formula makes Advantage bouillon and stocks high yield, which means your kitchen saves money. You only need 12 grams of Advantage Premium bouillon granules to make 1 litre of stock, over double the yield of most other instant stocks. Give your menu the Massel Advantage! Gluten-free, vegan, Kosher and more! Massel’s Advantage products are suitable for all people regardless of lifestyle choices, religious beliefs or dietary restrictions. You will be ready to feed whoever walks through your door. The Advantage Healthcare range of stocks and gravy mixes is specifically designed for hospitals, health care and age care facilities and other commercial kitchens catering for people needing to minimize their sodium consumption. The range is recommended by dieticians and has no added sodium or potassium. The Massel Advantage Healthcare range gives dieticians complete control over patients’ sodium intake. Advantage Healthcare products also contain no onion or garlic so are ideal for post operative care and for patients with irritable bowel syndrome (IBS), allergies.